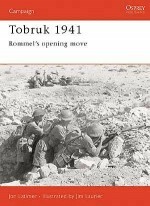 In November 1941, a small party of British Commandos landed by submarine in Libya, tasked with the assassination of General Erwin Rommel, commander of the German forces in North Africa, who was believed to be staying in a villa near the coast. Three men - Lt-Col Geoffrey Keyes, Capt Robin Campbell and Sgt Jack Terry - stormed the villa, but the German general was nowhere to be found. In the confused fighting Keyes was killed and Campbell wounded; only two raiders would escape, one of whom was Terry. The raid made headlines round the free world, and Keyes was awarded a posthumous Victoria Cross. Yet in truth the raid had been a glorious failure, a mission bedevilled by bad planning and poor intelligence. 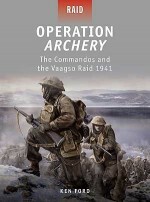 Even so, crucial lessons were learned, particularly by the Special Air Service - who carried out their first mission on the same night as the raid on Rommel's HQ. Gavin Mortimer is the author of Stirling's Men (Weidenfeld & Nicolson, 2004), a ground-breaking history of the early operations of the SAS, The Longest Night: Voices from the London Blitz (Weidenfeld & Nicolson, 2005) and The Blitz: An Illustrated History (Osprey, 2010). An award-winning writer whose books have been published on both sides of the Atlantic, Gavin has previously written for the Daily Telegraph, the Sunday Telegraph, the Observer and Esquire magazine. 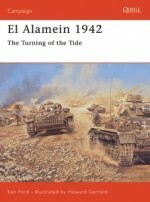 He continues to contribute to a wide range of newspapers and magazines from BBC History to Military History Quarterly. 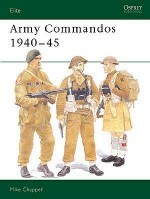 In addition he has lectured on the SAS in World War II at London's National Army Museum.